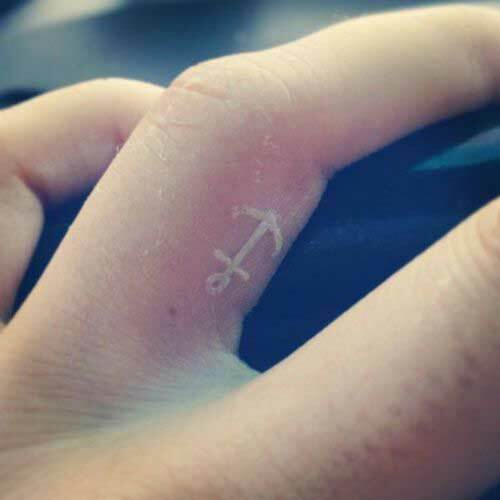 Anchor tattoos are quite old school tattoos, it actually became a trend amongst the sailors who worked at business associated with the sea. 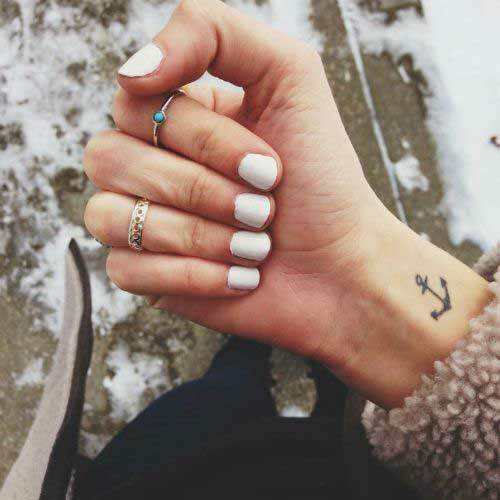 These anchor tattoos symbolizes strength and never say die spirit. 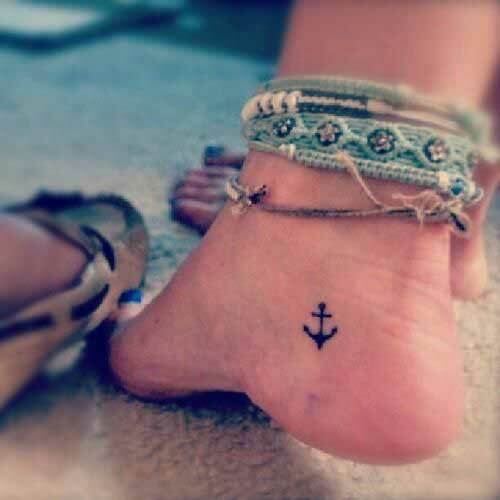 Traditionally an anchor tattoo represented hope, trust, stability and sustainability. 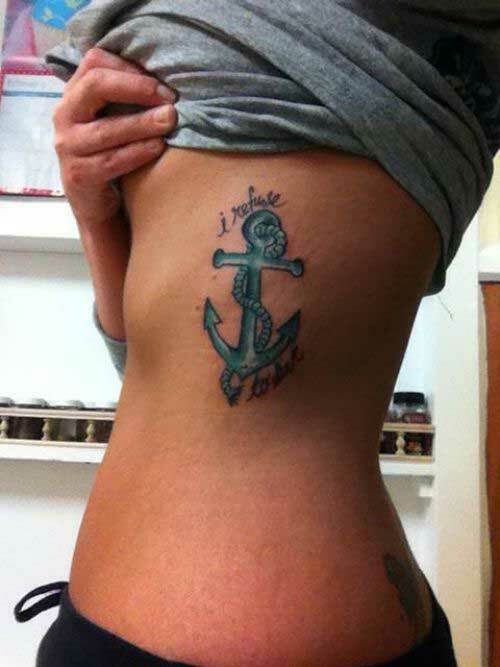 In fact in the US Navy an anchor tattoo was done when the sailor crossed the Atlantic Ocean. Among sailors it meant strong foundation. 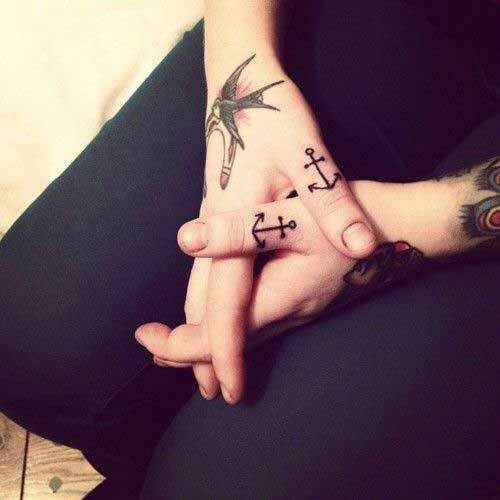 In this article we bring you 25 different Anchor tattoos for both men and women. Take a stroll. 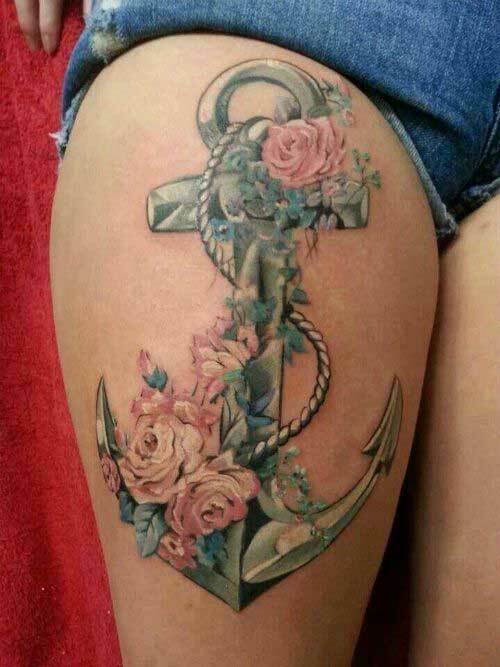 This tattoo is quite unique in its own way, the anchor along with the birds flying creates an illusion of freedom, it depicts free spirit. 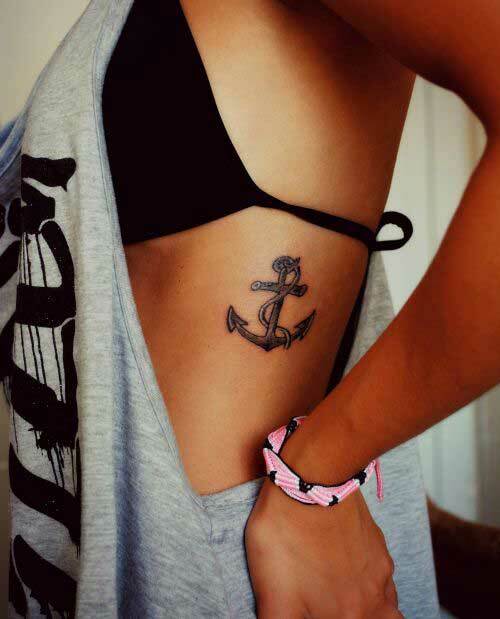 This tattoo symbolizes stability and sense of being independent at the same time. 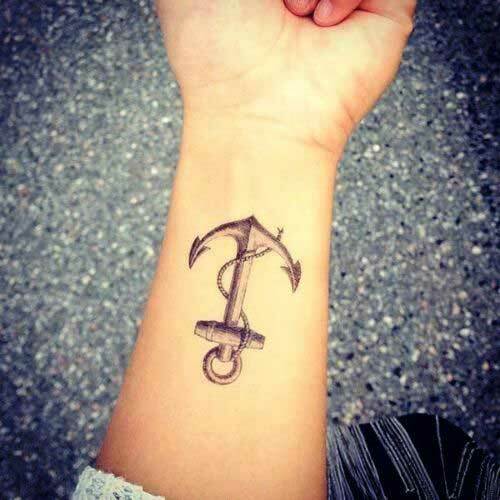 This tattoo is ideal for smaller area like wrist, neck or ankle. 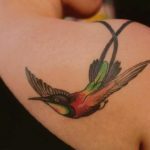 This tattoo is quite a romantic piece, this tattoo is bold, colourful and vibrant. 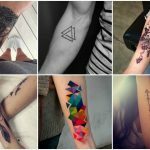 If you are in love and feel it everywhere then this is the tattoo for you, the bright colours make this tattoo even more attractive. 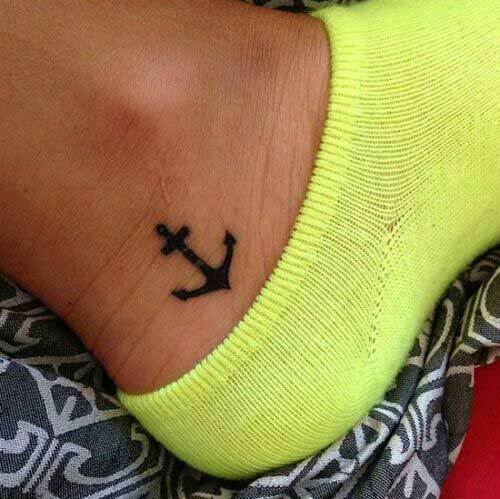 This cute little anchor tattoo is very feminine, its looks very cute on the ankle too. You can either get it coloured or let it be the way it is. 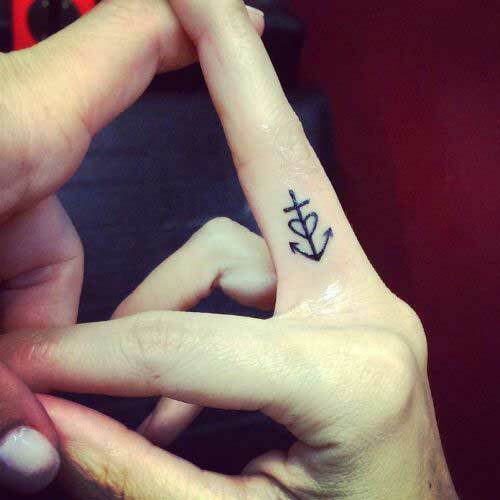 This tattoo is ideal for the one who is looking for a petite yet intricate design. 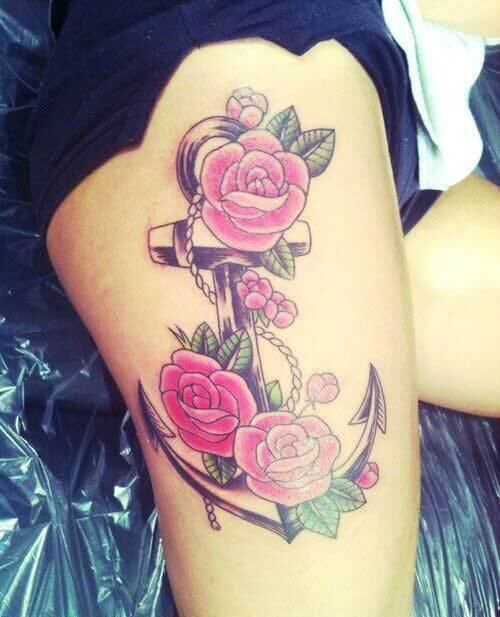 The combination of anchor and rose symbolizes love. Loyalty, honour and most importantly sacrifice. 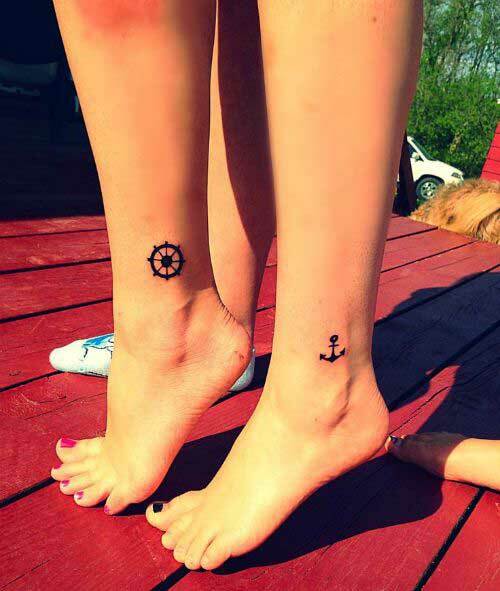 This tattoo can be made to remember the sacrifices made by someone dear to you. 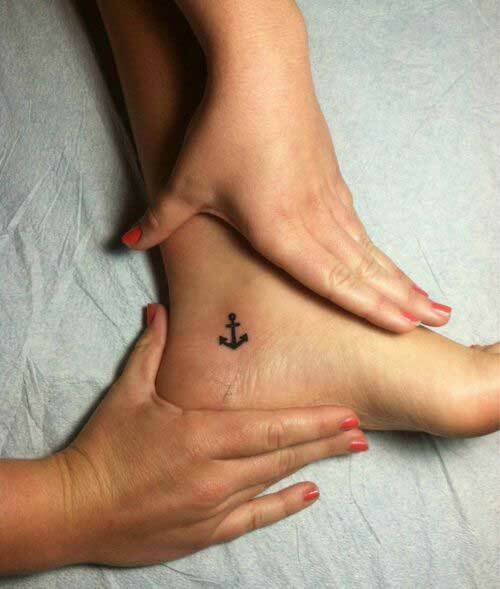 It can be a remembrance tattoo for your loved one. 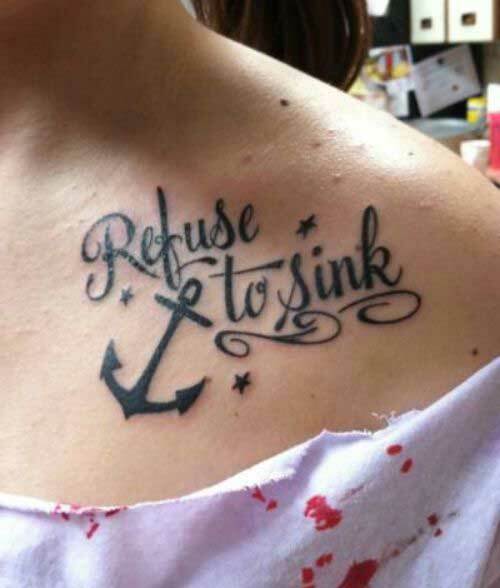 Anchor tattoo with quotes the “I refuse to sink” portraits the never give up attitude of a person, a person with this kind of tattoo is considered to be determined with a focus mind. 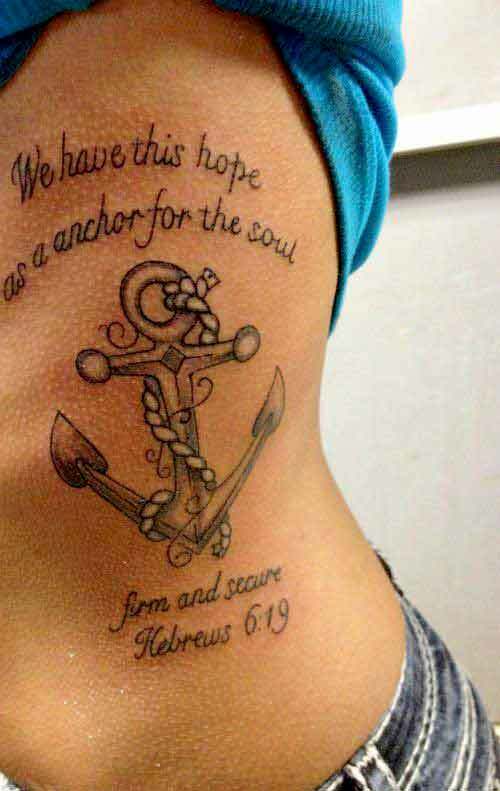 Anchors also signifies stability and sustainability. 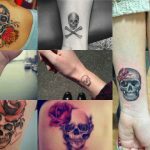 If you are a highly motivated person and have an attitude which says “never say die” hen this is the ideal tattoo for you. 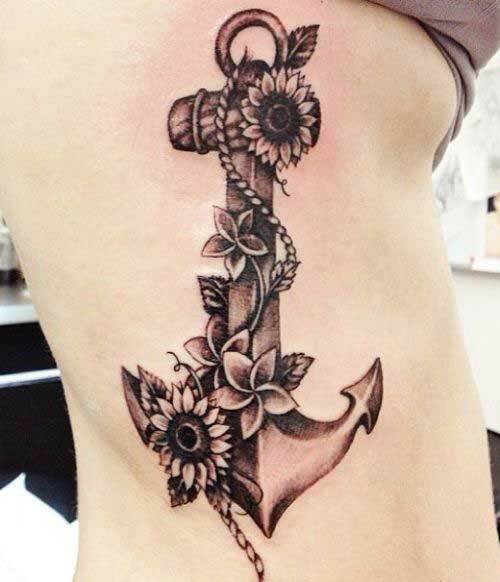 This tattoo is very old school, it is one of the very first designs that was created, and it is quite popular too. This particular piece of art looks due to its shades of black, it may not have looked so charming had it been coloured. The design is quite simple yet intricate. 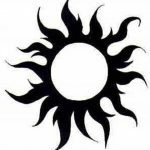 Would look great on forearm, back, foot or bicep. 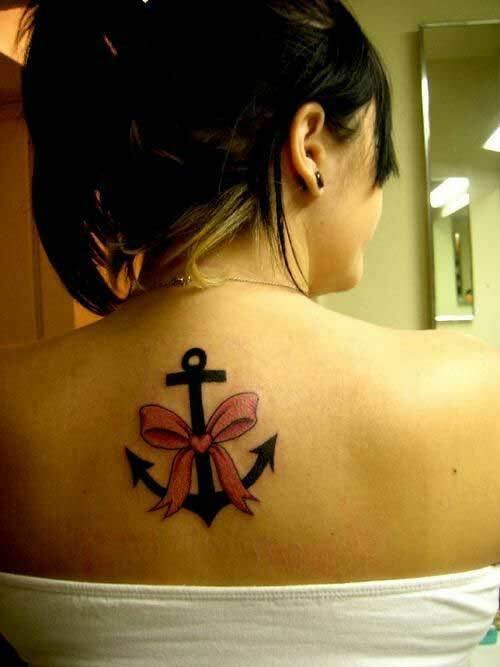 Anchor is also a symbol of loyalty and love, it is said that there has always been a strong bonding amongst the sailors. The sailors treated their fellow workers as families. 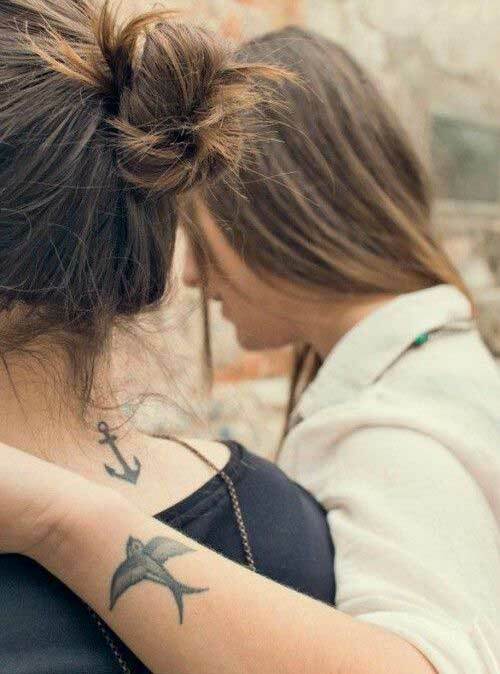 This little anchor tattoo is ideal for besties, it would portray your love and strong bond of friendship, if you have a bunch of strong friends then get this tattoo inked on your wrists. 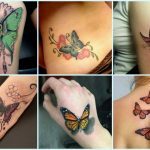 This tattoo is a marvelous piece of art, it is vibrant and attractive. 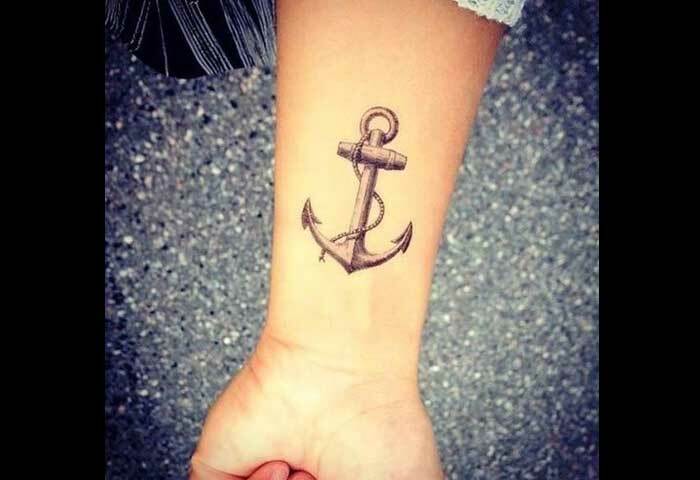 This tattoo is quite feminine however it can be worn by men as well if the design is modified a little. The design is soft and quite delicate, it would look better on a wider or broader area, ideal for back, shoulder, thighs, forearm etc. 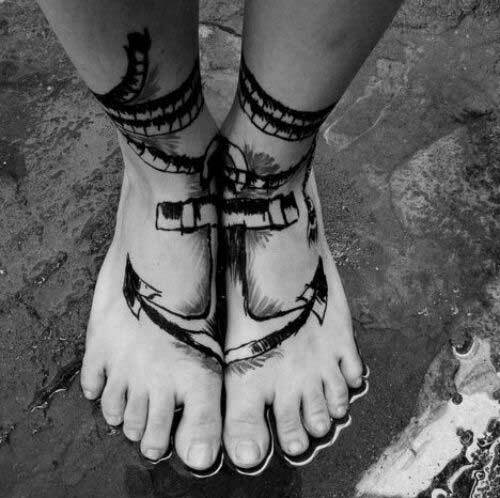 This tattoo would cover your both ankle and feet, the design is created in such a way that it starts from the ankle and goes on it covering the entire foot. 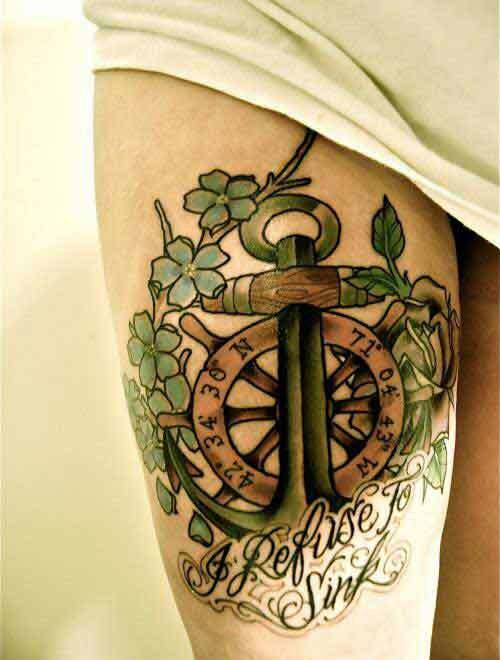 The tattoo would look incomplete if not done on both right and left leg. 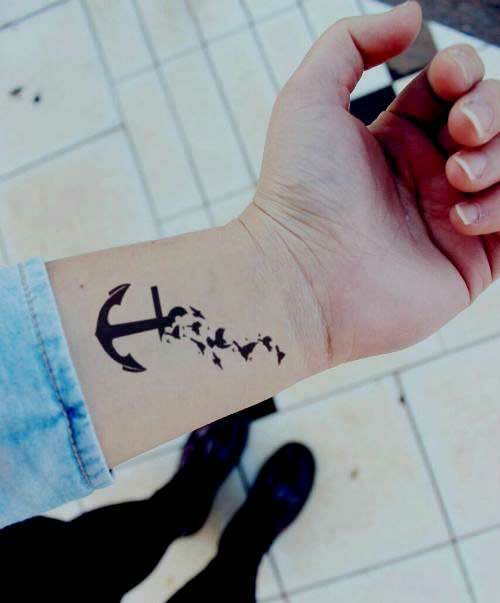 This tattoo would give a camouflaged affect too. 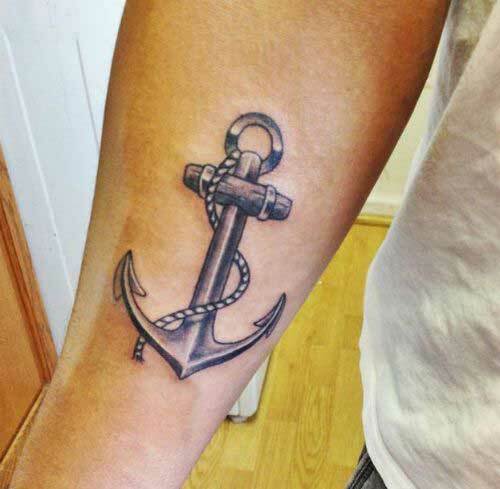 This is a typical sailor’s choice tattoo, this tattoo has a lot of in depth meaning, it talks about a sailors journey and his achievements. If you are an adventurous person with a daring attitude then this is the perfect piece for you. The colour combination and the intricate design are a delight for the eyes, this would definitely make heads turn. 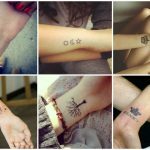 Hope these tattoo designs have helped you finalize one for yourself, go ahead and embrace one of this fine piece of art. 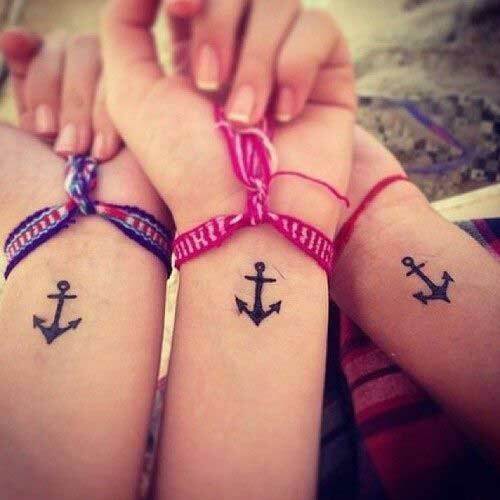 Traditionally an anchor tattoo represented hope, trust, stability and sustainability. 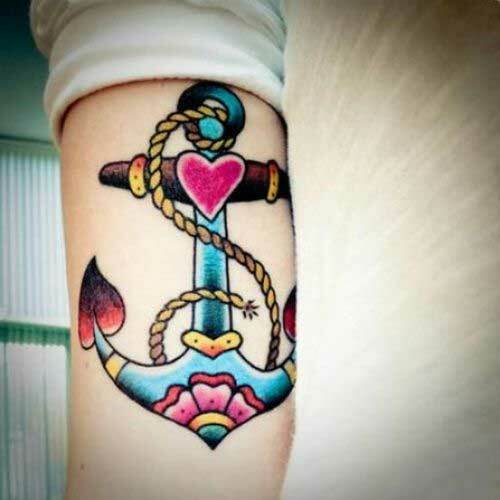 Check out our beautiful anchor tattoo list.